Dogs don’t come with instruction manuals, but the best dog training books from famous trainers and authors can certainly help you figure out how to teach and bond with your pup. The books on this list have helped thousands of people train dogs over the years, and they’re some of the top rated training books on Amazon for that reason. Here are ten of the best, top rated classic dog training books that can help you train your pup. You may recognize Zak George from his hundreds of YouTube videos or his work with Animal Planet. 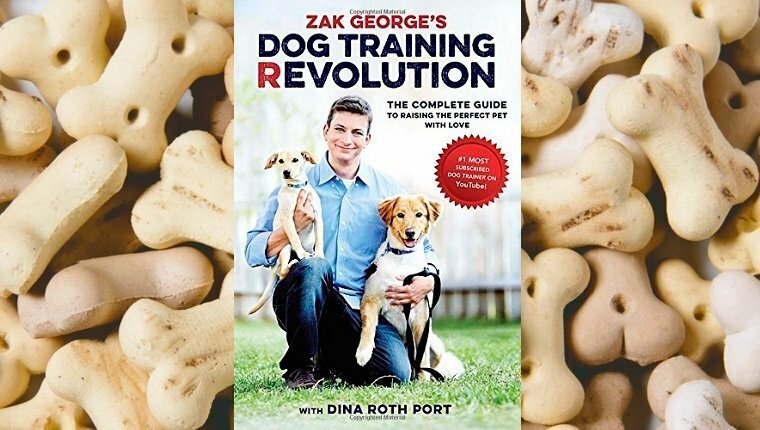 In Dog Training Revolution, he gives you information on everything from making sure you choose the right dog, to basic training, to correcting bad behavior, to healthcare for your pup, and more. This book is a #1 Best Seller with a 4.6 rating on Amazon. You can buy it here. 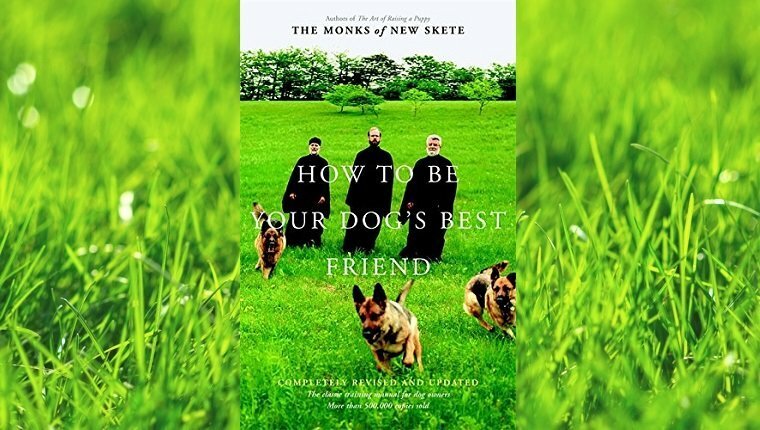 The Monks of New Skete are renown as breeders of German Shepherd Dogs and trainers of all breeds. 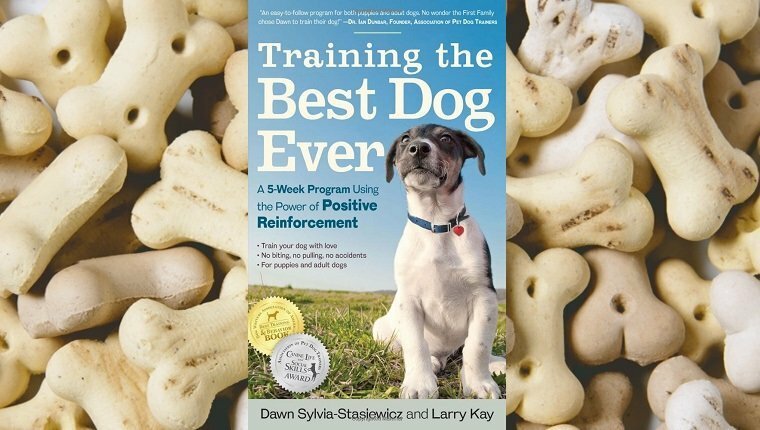 In this updated version of their classic training book, they give you info on selecting the right dog for you, physical fitness for your pup, appropriate discipline, behavioral problems, and the challenges of having a dog in the area where you live whether it’s the city, suburbs, or rural areas, plus much more. They emphasize understanding and communication as the key to training your pup. The book has a 4.5 rating on Amazon. You can buy it here. 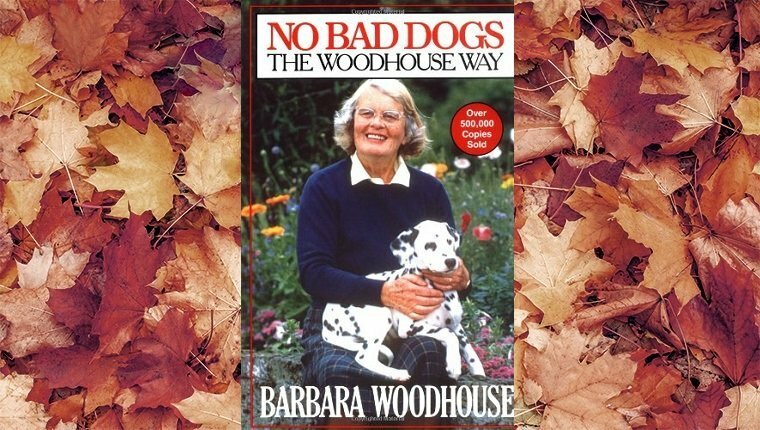 You may recognize Barbara Woodhouse from her appearances on 60 Minutes, The Tonight Show, Donahue, Merv Griffin, Good Morning America, and her television series, Training Dogs the Woodhouse Way. Although she passed away in 1988, Woodhouse truly believed that there are no bad dogs, only inexperienced owners, and her mission was to help those owners learn how to understand their pups. Her training techniques are still popular today. She gives plenty of basic techniques in her book with a positive attitude, and sometimes these techniques have dogs responding in hours or even minutes. Her book has a 4.4 star rating on Amazon. You can buy it here. Cesar Millan is one of the most well-known dog trainers in the country thanks to his show Dog Whisperer with Cesar Millan on National Geographic Channel. 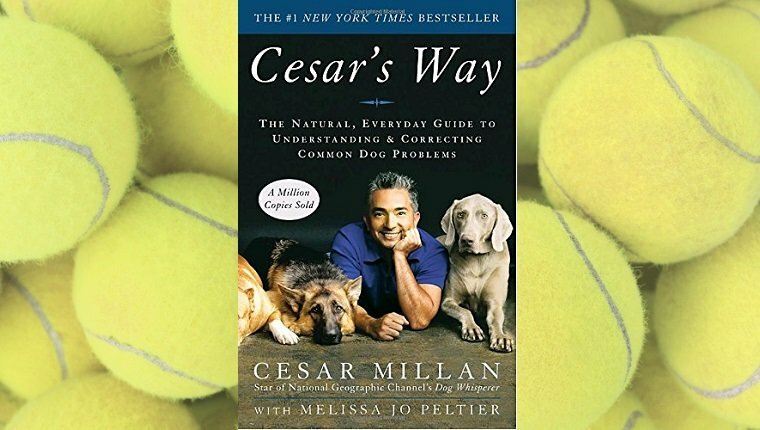 In his book, Millan explains his knowledge about dog psychology, discussing how behavioral issues develop and how they can be corrected. He explains the difference between discipline and punishment, and how pack instincts can be used to improve your relationship with your dog. He also details some of the anecdotes from his clients, including celebrities. His book has a 4.4 star rating on Amazon. You can buy it here. Author Dawn Sylvia-Stasiewicz used her training techniques on Barack Obama’s dog, Bo Obama, when he was in the White House, as well as each of Senator Ted Kennedy’s dogs, among others. Her book details positive reinforcement techniques rather than reprimands or punishments. The 5-week program relies on 10 to 20 minute sessions each day for both puppies and adult dogs. It goes over basic training, hand feeding, crate and potty training, and correcting or avoiding behavioral issues. The book also explains how to make your dog comfortable with vet visits and strangers. It’s a #1 Best Seller on Amazon with a 4.3 rating. You can buy it here. It’s important to keep your dog physically and mentally stimulated, and one of the best ways to do that is to teach them new tricks. This book covers everything from the basics like sit and stay to complicated commands like Tidy Up Your Toys into the Toybox and Get a Soda from the Fridge. There are lots of photos for each step of the way, and it’s easy to follow. 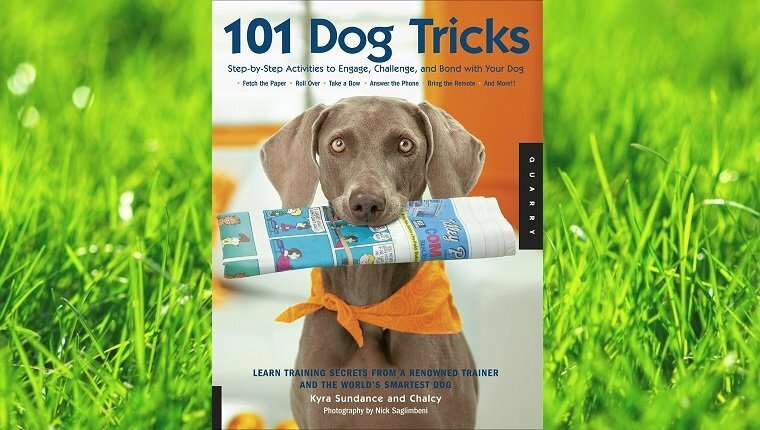 If your dog is really smart and eager to learn new things, this is a perfect way to step up your game and teach tricks that will impress all of your friends. It has a 4.5 star rating on Amazon. You can buy it here. 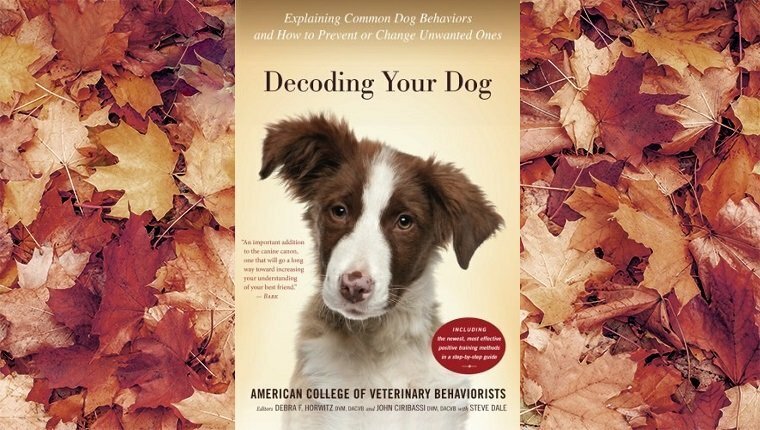 The American College of Veterinary Behaviorists wrote this book with a firm scientific basis, but it’s written in a way that anyone can understand. Unwanted behaviors are the number one reason dogs end up being returned to shelters or given away. 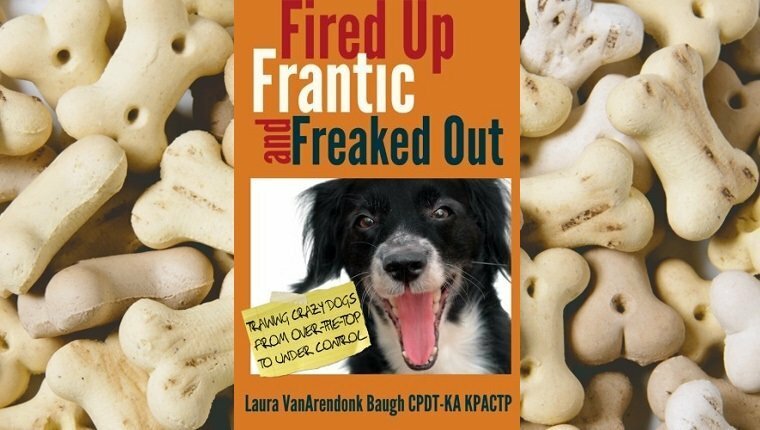 This book has the latest, veterinary-approved, positive training methods to help owners understand their pups and correct behaviors, rather than giving up their dogs. If you want the words of veterinarians and experts on dog behavior and training, this is the book for you. It has a 4.4 star rating on Amazon. You can buy it here. If you’ve got a youngster at home getting a puppy for the first time, this book can be a big help. It’s a huge confidence booster for kids to train their dog and see results. 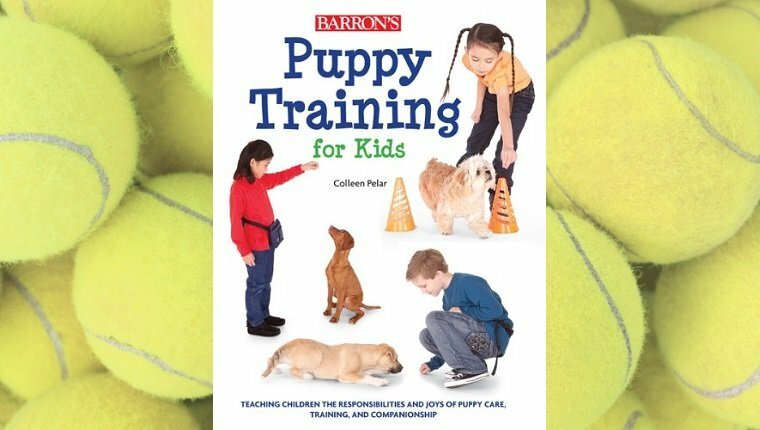 This book covers basic training, getting the right puppy supplies, housetraining and socialization, behavior and body language, and fun games. There’s also advice for parents to give their kids about responsible dog ownership. It has a 4.4 star rating on Amazon. You can buy it here. Some pups are especially energetic, nervous, or have short attention spans. This book is perfect for owners of those dogs. It has techniques for getting results in simple training sessions of one minute or less, using natural brain chemistry, knowing when medical help is needed, polishing unreliable behaviors in overexcited dogs, and knowing how to handle fear and aggression. It’s written in a humorous, conversational tone that you’ll enjoy while you’re learning. The book has a 4.3 star rating on Amazon. You can buy it here. 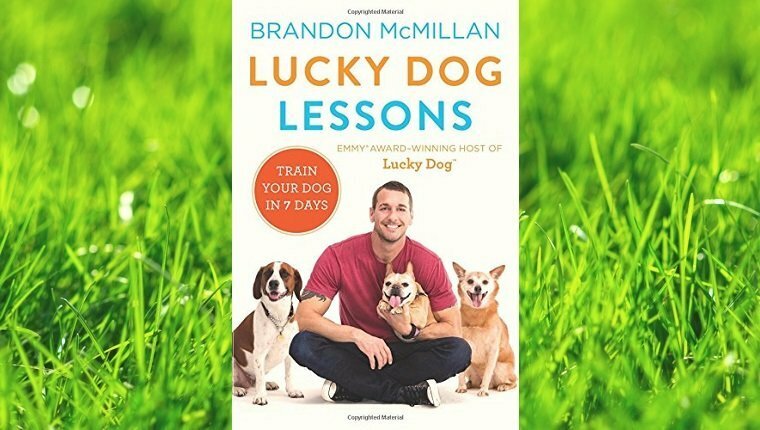 You may have seen Brandon McMillan on his CBS show Lucky Dog. In his book, he provides a step-by-step guide to training that he uses for the “unadoptable” dogs he rescues on his show in order to get them homes. He starts by building focus and control before detailing his kind, playful approach to learning the 7 Common Commands. He also tackles behavioral issues like chewing, barking, and housetraining trouble. McMillan shares stories of his favorite and most challenging dogs, as well. His book has a 4.7 star rating on Amazon. You can buy it here. Have you read any of these books yet? What did you think? What other dog training books would you recommend? Let us know in the comments below!